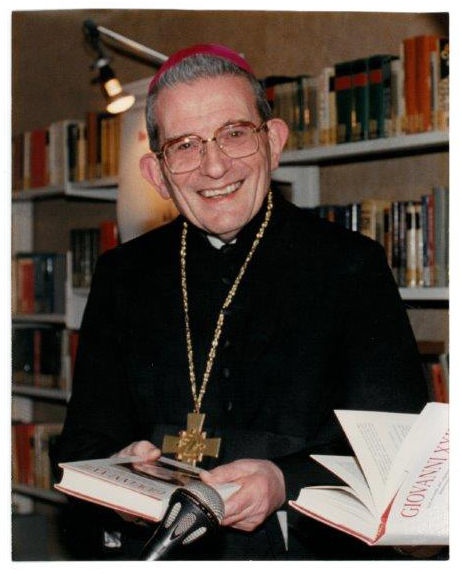 The Wallenberg Foundation received a letter from Monsignor Loris Francesco Capovilla, Archbishop of Mesembria. Monsignor Capovilla was the personal secretary of Pope John XXIII and most likely one of his closest friends. Monsignor Capovilla is 97 years old and due to his advanced age he was not able to attend the Roncalli Conference, but saw it fit to greet the organizers and participants of this important event, through a personal letter addressed to Mr. Eduardo Eurnekian and Mr. Baruch Tenembaum, Chairman of the International Raoul Wallenberg Foundation and Founder, respectively.